Busch Gardens Tampa Bay will kick off its 16th season of gut-wrenching scares with Howl-O-Scream on 20 nights in September and October. Known for its horrific spine chilling scenes and over-the-top and in-your-face haunted house experiences, Howl-O-Scream has become Tampa Bay's must-see Halloween celebration. The grounds of the African-themed park transform into an arena of diabolical proportions, where voodoo spirits and horror reign supreme. Guest’s mental sanity and physical endurance are challenged and pushed to a place evil calls home. 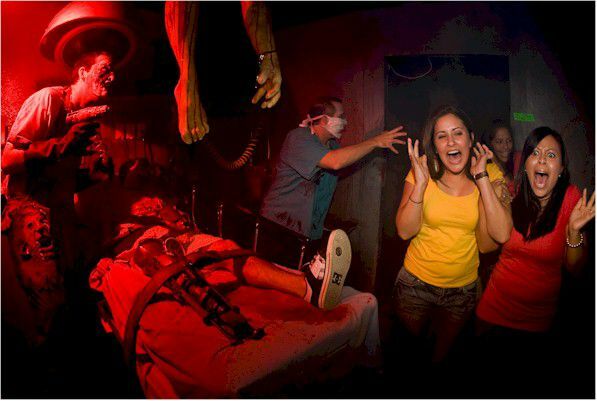 Every year a horror theme is carried out throughout the park and in different haunted house experiences. And, just when you thought you couldn't scream any louder... board a coaster for a bone-chilling ride through the darkness! Howl-O-Scream is a separate ticketed event with a general admission price that is higher at the gate. Florida residents, Passport holders and groups of 15 or more may save by purchasing advance tickets online. Discounts are also available through promotional codes provided on various retail products across the state and for Facebook fans (promo code required). Front of the line passes are also available. The popular event runs every Thursday, Friday and Saturday night during the last week in September and all of October and select Sundays — September 23-24 (Freaky Preview), 29-30 and October 1, 6-9, 13-16, 20-23 & 27-30, 2016. Hours are 7:30 p.m. to 1:00 a.m. for all nights. This event is NOT for young children. In particular, this year's event carries a warning of "intense adult content, such as violence, gore and blood." For more information or to purchase tickets for Howl-O-Scream, visit www.howloscream.com.